One of the advantages of being on the other side of the world is that when it’s grey and grisly in England, Australia is beaming with summer sunshine. Combine that with the lively attractions of the East Coast and you have the perfect setting for a family adventure. This exciting itinerary will transport you from the sophisticated sights of Sydney to a rainforest teeming with wildlife – including possums and pademelons – in Southern Queensland. You’ll also spend time in Noosa, home to one of the best beaches in the country with golden sands that stretch for miles. Other stops on this unforgettable family holiday include Byron Bay with its celebrated surf spots and Fraser Island with its spectacular sandstone cliffs. You’ll finish with a four-night stay on Hamilton Island where you’ll be able to delve into the vivid undersea world of the Great Barrier Reef. Flights and bed & breakfast at Quay West Suite, The Byron at Byron, Reilly’s Rainforest Resort, The Outrigger, Kingfisher Bay Resort and the Reef View Hotel. Based on four people travelling. Fly to Sydney, regarded as one of Australasia’s premier destinations. Small wonder; this scintillating city offers you wide-ranging cultural opportunities, sizzling restaurants and bars, outstanding architecture and an endless supply of experiences. Like strolling past the Opera House and around Circular Bay, taking photographs at every other step. You can take a half day introductory city tour, then catch a ferry to Manly and Darling Harbour – the trip takes you beneath Sydney Harbour Bridge – or wend your way to world-renowned Bondi Beach for swimming and surfing lessons. Today you fly to Ballina, pick up your hire car and drive to your stylish hotel in Byron Bay. Situated on the northern coast of New South Wales, the town draws visitors year-round with its golden beaches, lush rainforest and lovely tropical climate. It’s also celebrated for its surfing and scuba diving sites. The town itself is full of arts and crafts shops and restaurants, and is dominated by the picturesque Cape Byron Lighthouse. ‘I’m a Celebrity’ was actually filmed here, in the Southern Queensland rainforest. But instead of celebrities, you’ll meet wildlife including pademelons, frogs, possums and a vivid array of birds. Lamington is a World Heritage National Park and the perfect venue for nature walks, scenic lookouts, 4×4 trips, treetop walks above the rainforest and night expeditions to find glow worms and nocturnal creatures. Noosa’s beach is flawless. Squeaky, fine white sand stretching for miles (actually over 30 miles) along the edge of the warm Pacific Ocean. The town isn’t bad either, and you’ll be staying just a couple of minutes from Hastings Street with its great shops, specialist surfing outlets, relaxed cafés, busy bars and fine restaurants. Beyond both beach and town are the interesting bush walk trails of nearby Noosa National Park, with Australia Zoo a short drive away. 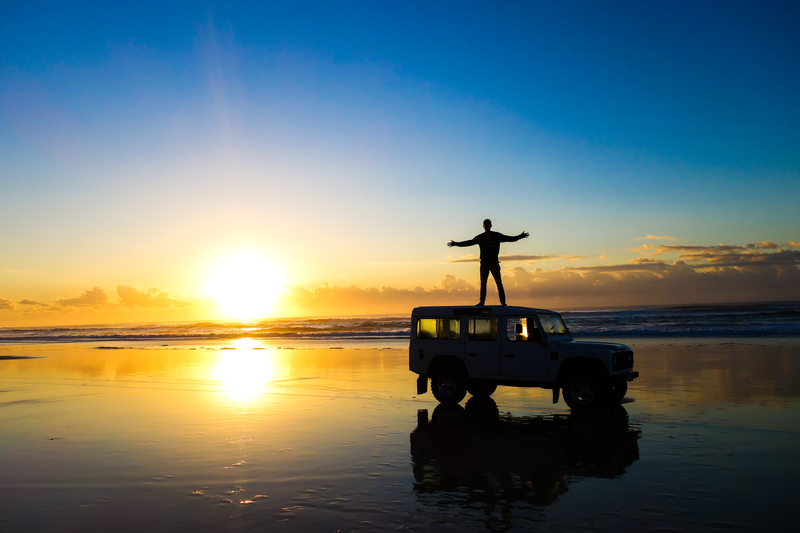 Your journey now brings you to World Heritage-listed Fraser Island on the southern tip of the Great Barrier Reef. At over 120km, this is the world’s largest sand island with a landscape dominated by white beaches, coloured sandstone cliffs, freshwater pools and ancient rainforest. Around 98% of the island is protected within the Great Sandy National Park. During your stay you’ll enjoy a 4WD ranger-guided tour, a chance to learn more about the island’s natural and cultural history as well as go swimming in the crystal clear waters of Lake McKenzie. You’ll drive along the beautiful Seventy-Five Mile Beach, visit the wreck of Maheno and be dazzled by the coloured sands of the Pinnacles. You now catch a flight to Hamilton Island, gateway to the 74 idyllic tropical islands that make up the Whitsundays. Hamilton has all the restaurants, entertainment, amenities and activities of a full-on resort – combined with warm waters, great flora and fauna and ready access to the colourful undersea world of the coral reef. All of which makes it a relaxed place for snorkelling and diving in one of the most revered marine sites in Australia, with trips out to Whitehaven Beach and various points on the Great Barrier Reef. Stay: Four nights in a family room overlooking the ocean at the Reef View Hotel. Or upgrade to a deluxe villa in the new Yacht Club. Today you will board your international flight home.